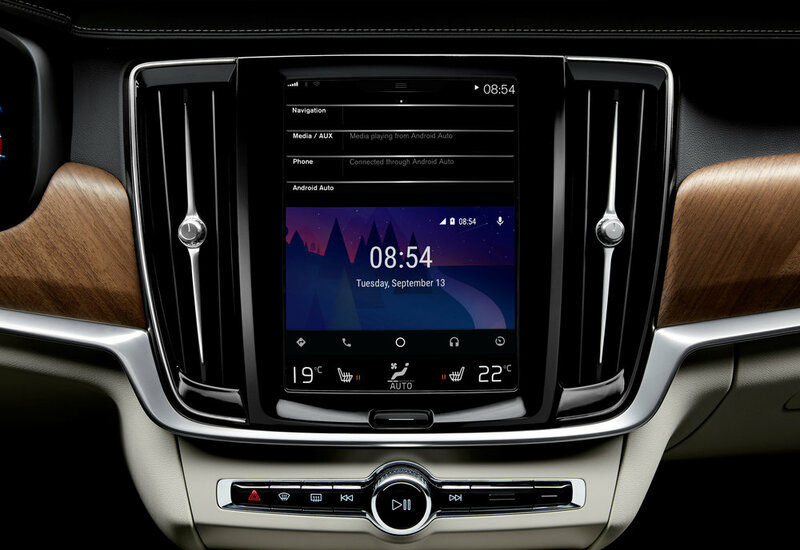 Android Auto smartphone integration has joined existing Apple CarPlay on Volvo’s media system, available on the range-topping 90 series models. Further improving in-car connectivity, Android Auto comes as part of a new Smartphone Integration package that also includes Apple CarPlay, which allows users to connect their device directly to their Volvo’s Sensus media system. A range of Android-optimised apps – including Google Maps and Google Play Music – are now available directly via the car’s touch screen. Users can also make and receive calls, and send and receive text messages using Android Auto. Alternatively, these functions can be controlled using the car’s, or the phone’s voice control system, so drivers can stay connected while keeping their eyes on the road at all times. Thanks to the touch screen’s large size and portrait layout, the Android Auto apps are displayed in the bottom section of the screen, leaving the top of the screen free to display the car’s other main functions. Smartphone Integration includes a second USB socket and is available now on the S90, V90, V90 Cross Country and XC90, priced at £300. Existing owners of these models (those built after April 2016) who already have Apple CarPlay can benefit from a complimentary upgrade to Smartphone Integration as part of their car’s routine servicing schedule at an authorised Volvo dealership. Android Auto is available on any Android smartphone running 5.0 (Lollipop) or higher.